Christo & Co provides a comprehensive agency service acquiring, disposing and letting of any size or type of commercial and residential property. Our most public face is our boards which advertise commercial property, and with upwards of 800 boards erected every year, we have a strong presence in the public eye within the geographical boundaries of our practice. Sophisticated marketing techniques, intimate knowledge of the market place, quick and efficient response to the demands of our clients and an enthusiasm to deal effectively in a competitive market are the key notes to the success of our agency department. The legal complexities of the modern office sector and the technological needs of the occupiers demand a complete professional service. The office agency department offers specialist advice ranging from pre-letting of office schemes to offering long term advice in searching for offices well in advance of a prescribed moving date. The combined assistance of a comprehensive database and current computer valuation technology, enables the department to provide advice for new sales & lettings, lease renewals and rent review negotiations at short notice. New prestigious development of Offices, Acquired & Let by Christo & Co.
Commercial office building of 35,000 Sq. Ft. Christo & Co. retained as Sole Selling Agents. Office complex of 50,000 Sq. Ft. Fully Let and Managed by Christo & Co. The Retail Agency Department has achieved a high level of expertise, monitoring and examining trends in retailing. It offers advice and receives instructions on a variety of property types including shops, supermarkets, restaurants, cafes, pubs, shopping centres and retail warehousing. Our personal service is simultaneously offered to individual and multiple retailers looking to acquire or dispose of retail premises in prime and secondary locations. Prime Retail Premises of 5,700 Sq. Ft. Let to Poundworld by Christo &Co.
Prime Retail Premises of 5,200 Sq. Ft. Let to Co-Operative by Christo & Co. Excellent Restaurant Premises in the heart of Camden Acquired for Fatburger by Christo & Co. The company’s Industrial Department is well known and has established a good reputation, offering a full service to clients for all their industrial requirements. Many rely upon the department to assist in their expansion and rationalization programmes. As a result of the company’s involvement in the property market, it has developed an efficient computer based selling format. At any time, over 2,500 applicants’ records are stored on our system and are regularly updated. Clients requirements are carefully recorded which in turn, facilitates the successful marketing of our new instructions through our monthly lists, offering space to applicants from as little as 1000 square feet up to 500,000 square feet. Modern Single Storey Warehouse Building of 95,000 Sq. Ft. Freehold Acquired for Clients . Multi Storey Warehouse Building of 35,000 Sq. Ft. Freehold Acquired For Clients. Various Factory Warehouse Buildings of 7,000 – 200,000 Sq. Ft. Sold & Acquired For Clients. A substantial part of our business involves the acquisition and sale of retail, office and industrial investments, as well as complete developments. The practice provides clients with comprehensive advice on the timing and nature of their investment decisions. We seek to maximize returns by anticipating market trends or releasing marriage values: by re-negotiating leases, modernizing and redeveloping buildings. Major Retail and Office Development of 60,000 Sq. Ft. in the heart of Camden Acquired, Developed, Let and Sold as a Prime Investment to an Institutional Purchaser. Various Buildings Both Let & Vacant Acquired and Sold for Clients. Prime Retail /Office Building Let to Lloyds Pharmacy & Select Fashion Sold for Clients. Christo & Co. are considered the forerunner in this most dynamic sector of the property market, advising clients on commercial & residential developments. 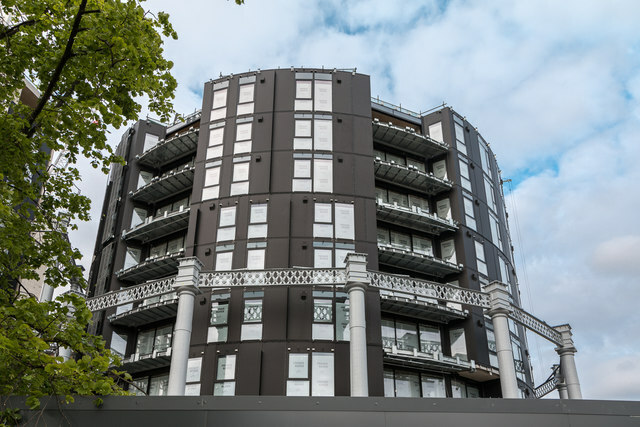 With an emphasis on new developments and refurbishment of existing buildings, development appraisals are carried out both on behalf of prospective purchasers and also for developers seeking funding. 6 Headquarter buildings totalling 400,000 Sq. Ft. Acquired & Subsequently Sold For Development. Two Storey Commercial Building of 20,000 Sq. Ft. Sold For Residential Development. Prime Office Building of 25,000 Sq. Ft Sold For Residential Development. Christo & Co. has an established associate office in Cyprus prompted by the island’s growing prosperity, popularity for second holiday homes and its’ proximity to the Middle Eastern countries who use Cyprus as a financial base. The practice is advising and acting on behalf of major developers in property matters ranging from resort hotels through to village developments and time sharing. Luxury development of 12 flats. Luxury house with swimming pool & garden. 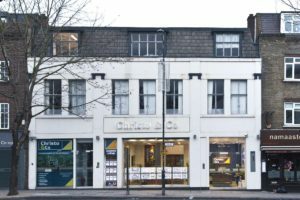 Christo & Co has attained a high level of expertise in residential lettings, by acting for Landlord’s ranging from individual homeowners to investment companies with larger portfolios throughout London. With our market knowledge of the lettings market, our rigorous vetting procedures as well as our solid marketing drive, we affect lettings quickly and efficiently, guiding our clients to ensure that lettings are trouble-free at the best possible price. Our close links to relevant professional bodies ensures that we can apply and advise on a legislative changes as they occur. The quality of our lettings service is exacerbated by the close link the agency department has with the property management department, thereby having the ability to offer clients a full management service. Many of our clients reside abroad, entrusting the full letting and management of their property/investment to our professional team of experts. We pride ourselves on the personal level of service we offer to each of our Clients. We want you to feel confident that we understand your needs fully and that you are getting a comprehensive and professional service on competitive terms. Getting to know your commercial and residential property requirements. We use one of the industry’s leading computer databases of available commercial property information which is updated to our office on-line on a daily basis. Many commercial properties may become available without even being marketed publicly. Through our extensive sources and contacts we hope to get the information first for you. Commercial and Residential property agents rely on the exchange of information between themselves to do deals, as a result we have our own ‘postal’ system that collects and circulates information on properties and requirements to over 600 agents everyday. We will always compliment a search by thoroughly combing the chosen locations on foot for information and boards that may have slipped through by other sources. This can be arranged to make direct contact with occupiers of a chosen location, business type and size. This service is at an additional cost. Advice on the lease terms is one of the most important areas in the acquisition of new premises to ensure that you get the best terms for your company. We will be able to provide comparable evidence to support the terms agreed from research and market knowledge. There are many points that need to be considered such as Privity of Contract, Security of Tenure, Alienation, Dilapidations, Schedules of Condition, and Service Charge provisions. We will be able to provide information and discuss lease terms knowledgeably with your legal representatives. In many instances the hard work for you only starts after an acquisition has taken place. The move itself is traumatic enough, but consideration has to be given to making the commercial property ready for your occupation. To help, we have our own design and project management department on hand if required. Building works, extensions and structural work.